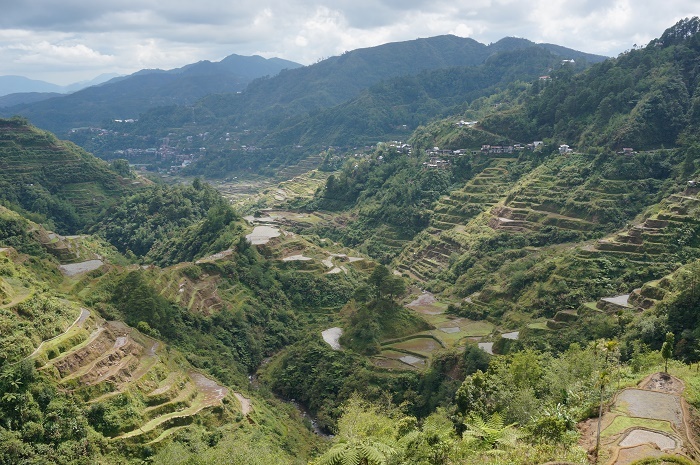 The Banaue Rice Terraces are 2,000-year-old terraces that were most likely carved by hand into the mountains of Ifugao in the Philippines by ancestors of the indigenous people. 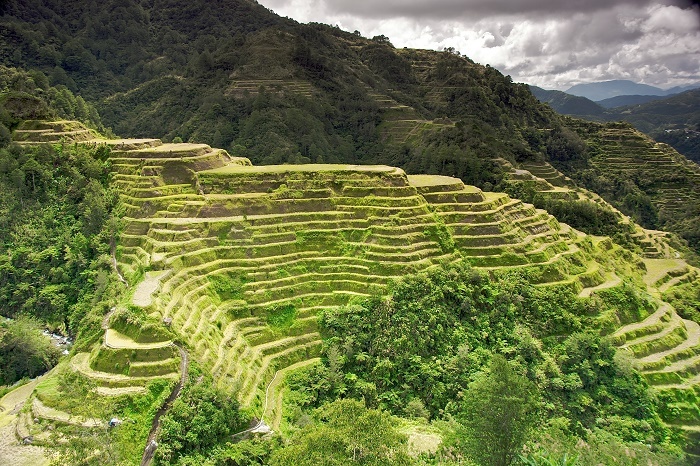 As a National Cultural Treasure of the Philippines they are considered to be the Eight Natural Wonder of the World by many Filipinos. 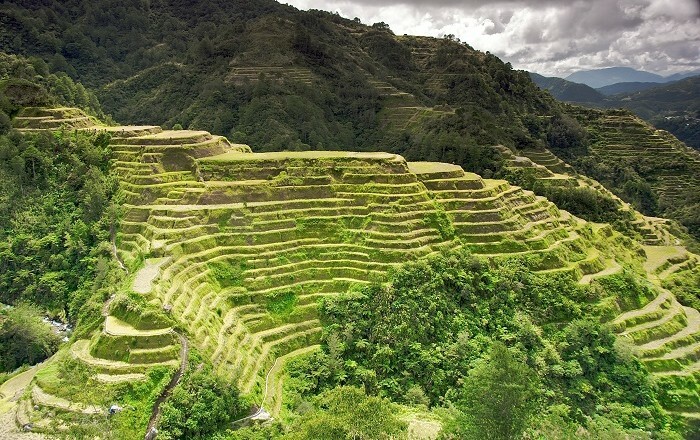 They are an outstanding example of an evolved, living cultural landscape that can be traced as far back as two millennia ago in the pre-colonial Philippines. 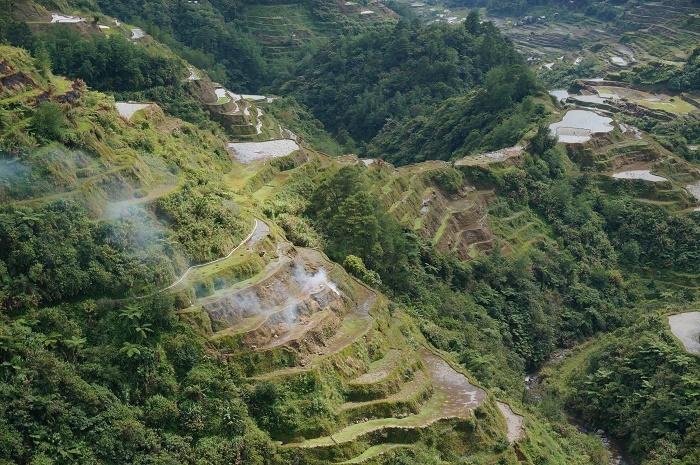 The terraces are located approximately 1,500 metres (5,000 feett) above sea level, and are fed by an ancient irrigation system from the rainforests above the terraces. 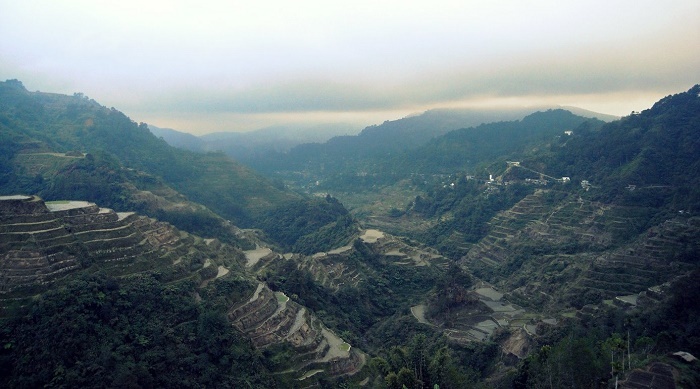 It is said that if the steps were put end to end, it would encircle half the globe. 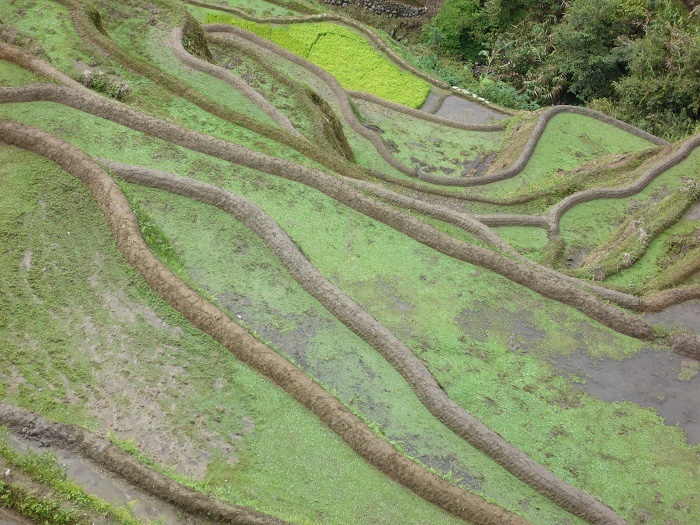 While the historic terraces cover an extensive area, the inscribed property consists of five clusters of the most intact and impressive terraces, located in four municipalities. 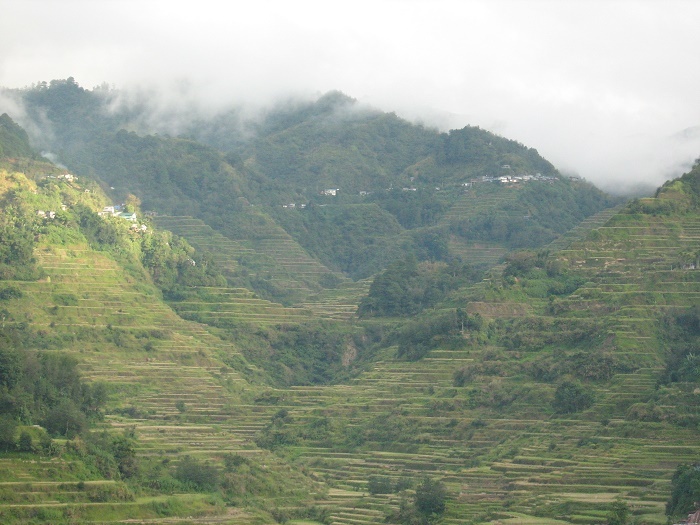 They are all the product of the Ifugao ethnic group, a minority community that has occupied these mountains for thousands of years. 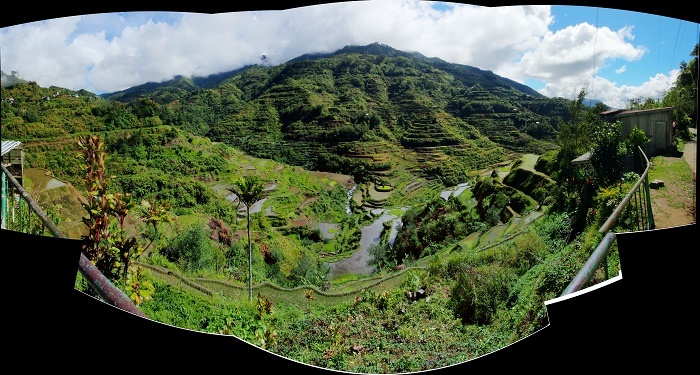 The most popular place to look at the rice terraces is called the Sunrise Viewpoint, where local Igarot tribes people pose for photographs and sell wood carvings. 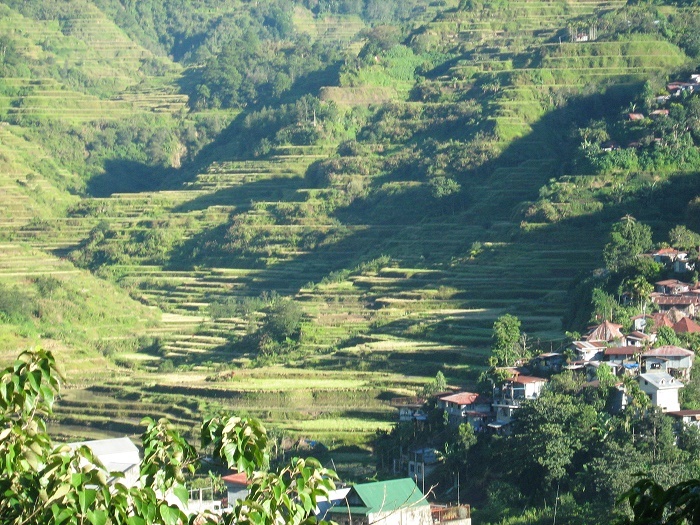 Declared in 2009 as free from any genetically modified organisms, farming in the area has been carried out as it was hundreds of years ago. 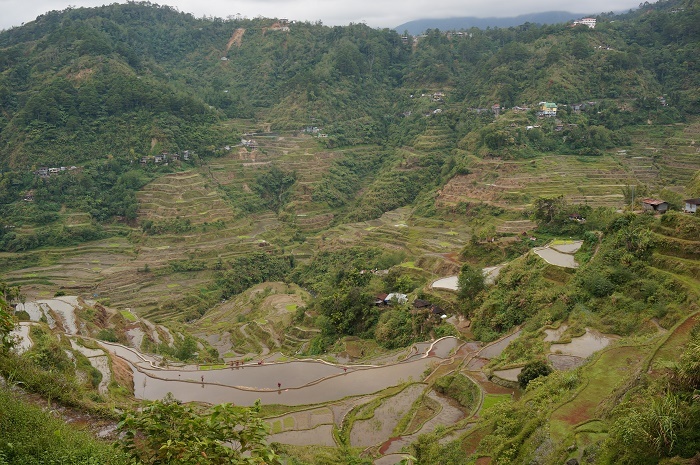 But, the thriving economy in the Banaue Rice Terraces is tourism. 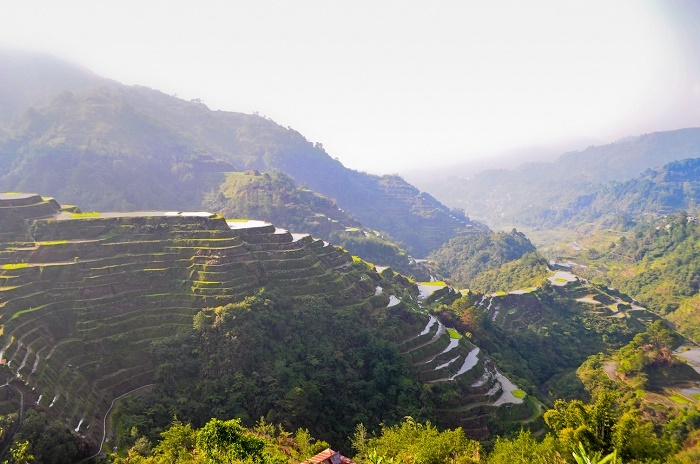 The tourism industry has developed a number of activities for visitors which may include the traditional sight seeing of the terraces and visits to the tribes at the foot of the terraces.